A Romantic Rest | Just Shooting Memories! 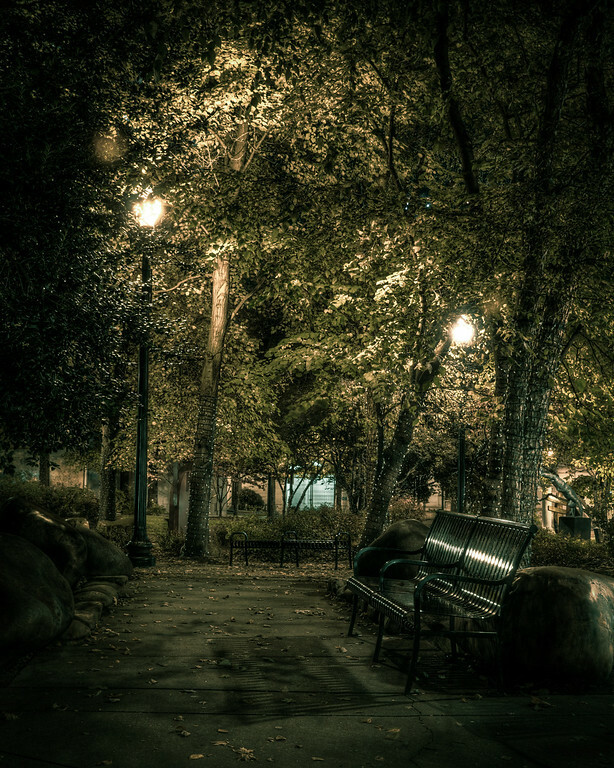 Not much is more romantic than a stop at a bench in a small park on a warm night. Many years ago, my wife and I would stop and sit for what seemed like hours in the evening. Unfortunately, we seem to have so much going on now that we don’t get to do that as much. Maybe I will have to bring her to this little spot in Knoxville.